When it comes to cocktails and appetizers, chef Kathy Casey is an expert at balancing flavors and textures. 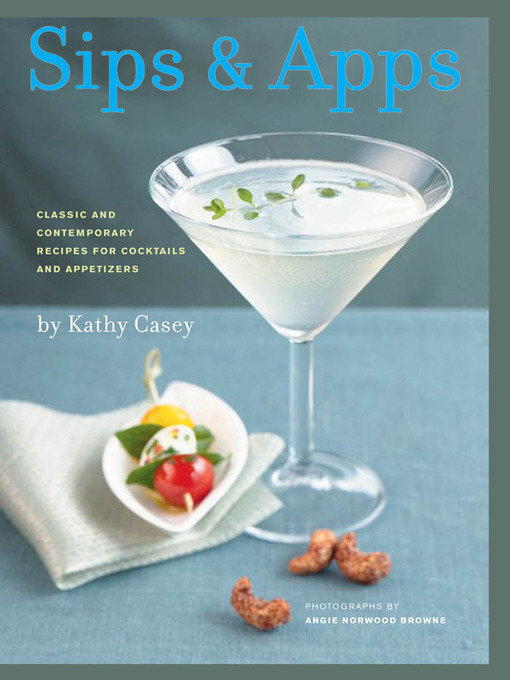 Sips & Apps has 100 recipes that include not only classics like the Martini and Manhattan but also creative new concoctions like the Douglas Fir Sparkletini and the Blue Thai Mojito. Appetizers include simple finger foods like Roasted Pear Crostini with Gorgonzola and ChaCha Cashews and more substantial treats like Asian Shrimp Cakes with Sweet Chili Sauce. Lots of info on stocking a home bar and plenty of techniques and extras (like a nifty double ribbon marker labeled "sips" and "apps") make it easy to match up the right sip with the right app.